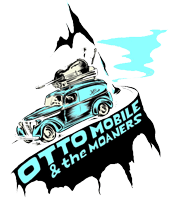 The Lundquist Brothers open the show and test out some new OttoMobile originals. Merrie Sloan will deliver a set with Josh Bennett. Payton Purnell is the new stoned cold country of Toby Purnell (Crooked County) and Jason Payton (Payton Bros.) featuring L-der on pedal steel.